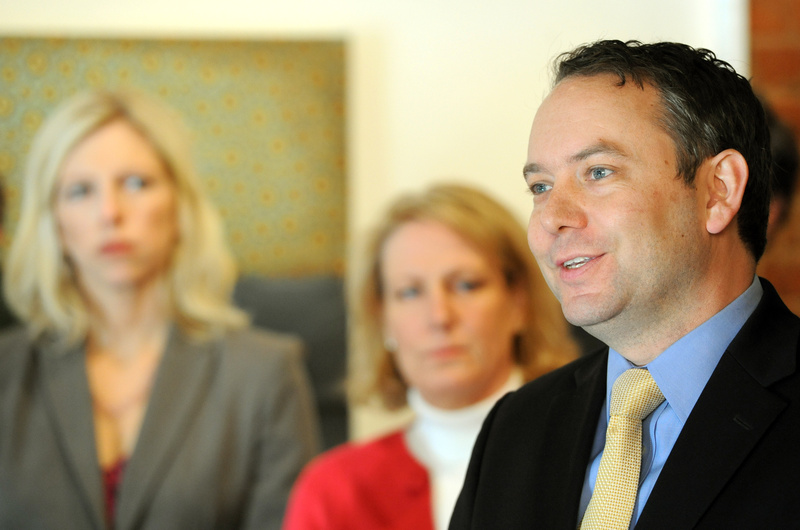 Spokane Mayor David Condon says he won’t request the full salary he’s entitled to this year. Other formulas can be chosen based on length of service and survivor benefits. Spokane Mayor David Condon will hold his salary at $100,000 this year as promised, despite the recent controversy over his predecessor’s pay. But he said he will review his options and the city’s legal opinions and may take more next year. In his campaign for mayor last year, Condon agreed to accept whatever Mayor Mary Verner budgeted for the mayor’s salary in his first year in office. He made no further pledge to hold down his pay. The Spokane City Charter says that the mayor’s pay must be at least equal to that of the highest paid city employee, not including the city administrator. The highest-paid worker is usually the police or fire chief, who earn about $170,000. Each mayor since Jim West in 2005 has declined a portion of his or her pay. Mary Verner capped her salary at $100,000 apparently against the advice of the city attorney’s office. In her last week in office she requested back pay for what she declined in her last two years. The city denied that request. “There’s a bigger question that I want to answer, which is, ‘What is a fair wage for public service?’ ” he said. Former City Councilman Steve Eugster, who sponsored the 1999 ballot initiative that changed Spokane’s government to the strong mayor system and created the rules for the mayor’s pay, said declining pay takes away from the intent of the Charter. In a strong mayor system, the mayor is in charge of the administration and has some veto power over the council. Previously, the city’s mayor was a member of the City Council and the city was run by an administrator hired by the council. Condon said he has declined to participate in the city’s pension plan. For a city that hasn’t re-elected a mayor in four decades, that may not be a bad decision because Condon would need to work at the city five years to earn a pension – meaning he would need to be re-elected. But Condon said he doesn’t plan to join the pension plan even if he would win a second term. In a 401(k) plan, a worker contributes to a fund for retirement and has some control over how the money is invested. The worker is responsible for losses in the plan. In a pension plan, the employer is responsible for investing and covering losses. Condon’s decision means that the 7.75 percent of his salary that he would normally contribute to the plan will instead stay in his paycheck. He joins only Councilman Steve Salvatori as elected leaders who have declined to participate in the retirement plan. Salvatori said this week that he declined in part because at this point he doesn’t plan to run for a second term. All city workers who aren’t police officers or firefighters are members of the Spokane Employees Retirement System. Retirement Director Leo Griffin said elected officials are the only workers who can opt out. He said those who opt out can join at a later date if they pay in what they would have contributed, plus interest. Former City Council President Joe Shogan, for instance, opted out of the pension plan during his first term. Soon after winning a second term, he paid the city $8,622 to make up for four years of payments, plus interest, to join and get credit for his first four years. He left the city at the end of last year with a monthly pension of $622. Those who lose second terms, such as Councilman Richard Rush, can withdraw their contributions, plus interest, at any time. If they later win a new term, they can get credit for the four years. Former City Councilman Steve Corker, for instance, served one term on the City Council and lost re-election. He withdrew $5,806 – what he contributed to the plan plus interest in 2004. After winning a new term in 2007, he re-entered the pension plan after paying $7,179 (what he withdrew originally, plus interest). His monthly pension is $365. Former City Councilman Al French served two terms, but because he later got a job with Spokane County as an elected county commissioner, which is part of the state’s retirement system, French’s city pension will be calculated based on his much-higher county salary. He’ll also be eligible for his county pension through the state. Spokane’s retirement plan had about 89 percent of the money it needed to cover its obligations until the market crashed a few years ago. It currently has about 72 percent of the money needed to meet its obligations. Griffin said that’s probably about average or slightly less than average compared with other government pension plans. City workers contribute 7.75 percent of their pay for pension. The city contributes an equal amount.